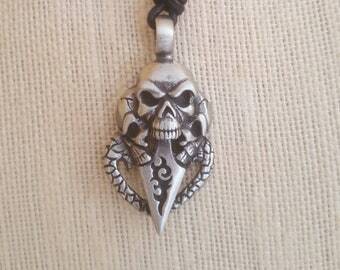 This necklace has one of the coolest skull and cross bones with the anchor going right through the skull. 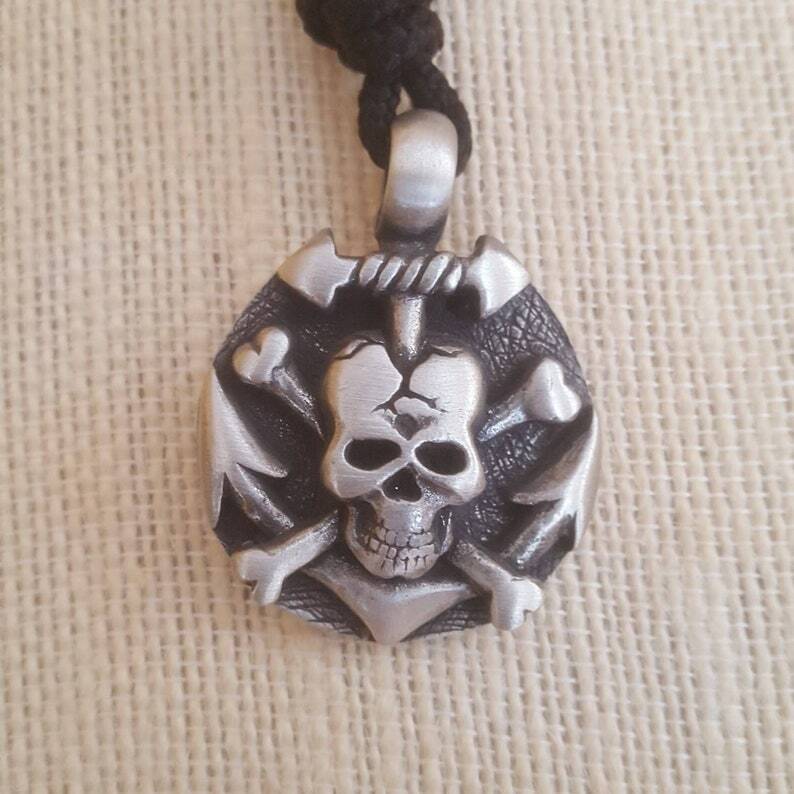 This unisex necklace is sure to be a favorite of pirate lovers, pirate loving boaters, rebels of the sea, and gypsies at heart. While the anchor is symbolic of being ground, the pirate is symbolic of living life on your own terms. Pendant is 1 3/4 inches from top ring to bottom and 1 1/4 inches wide. The cord opens to approximately 24 inches and closes to about 14 inches. Optional additional length when checking out. Can be worn opened at 24 inches or anywhere in between. The "chain" is USA made nylon paracord, to provide years of use. Leather cord is currently not available. If you have any questions please feel free to send me a message anytime. I will get back to you as soon as I can, usually within a few hours.